A few years ago I witnessed a loggerhead sea turtle lay her clutch of eggs in the dunes on East Beach on Bald Head Island. It was one of those experiences that makes the world stop turning and lets you live in a moment for as long as you need. Try as I may, over the ensuing years I've been to a half dozen nests close to hatching and I have yet to see a clutch of eggs boil out of the sand and make their way to the ocean. 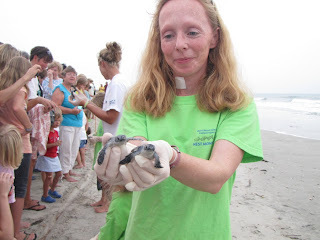 A few weeks ago I got to experience the next best thing when the Bald Head Island Conservancy released about 80 loggerhead and green sea turtles from nests that had been excavated before Hurricane Irene brushed past us. 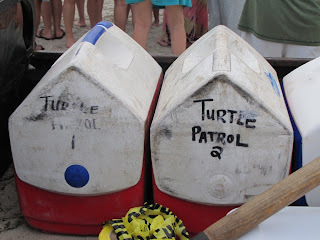 The Conservancy announced it and 100 visitors, residents and even the police came out to watch the turtles' release into the sea. 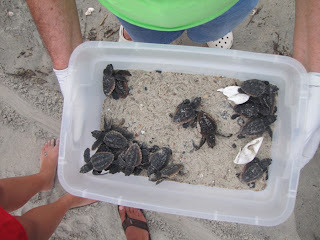 Head over to Bald Head Island's blog, The Island Times to read it for yourself. 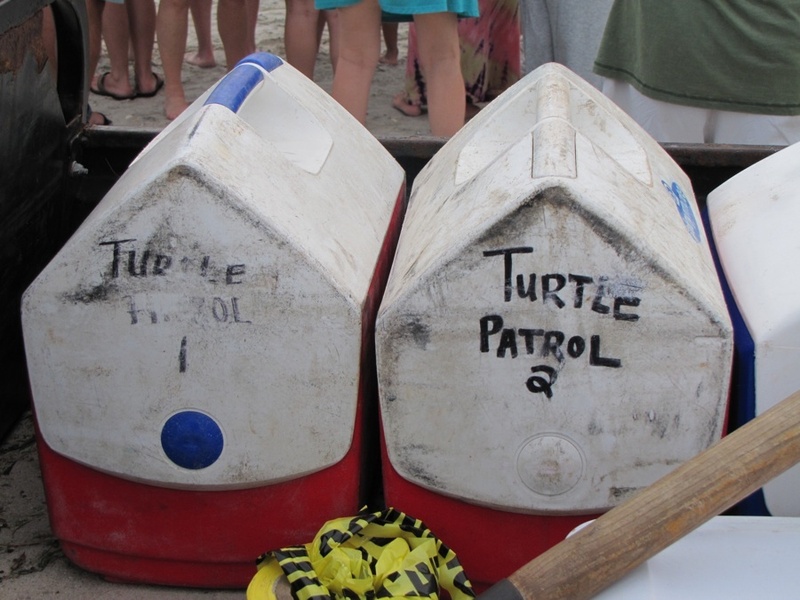 Two coolers full of turtles.